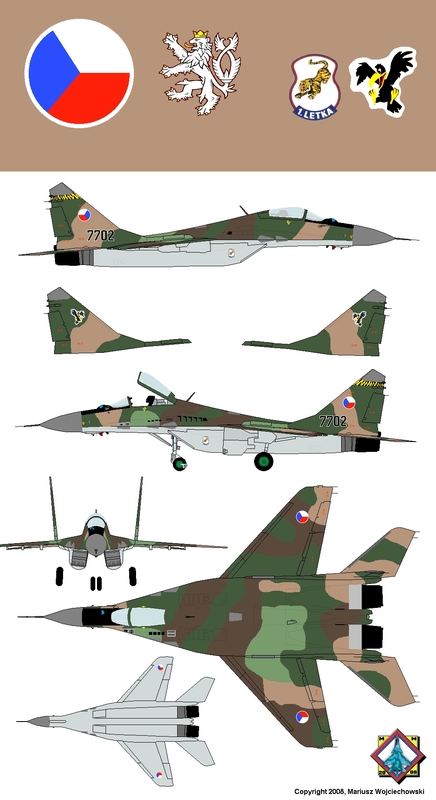 In 1995 Czech MiGs were sold to Poland, in exchange for Polish Sokół helicopters. MiG-29 no. 7702, 1st Fighter Aviation Regiment at Česke Budějovice, Czech Republic 1993.